The BTR-80A is a wheeled amphibious combat vehicle designed as an infantry troops carrier fit for fire support on the battlefield and for its infantry squad to fire from inside the vehicle. 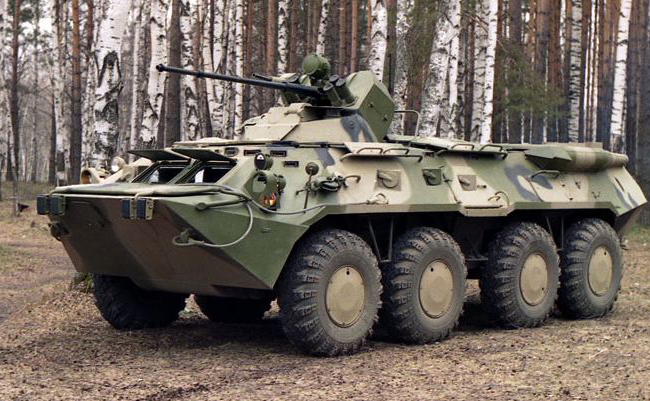 The BTR-80A is a BTR-80 derivative retaining its basic units and components. 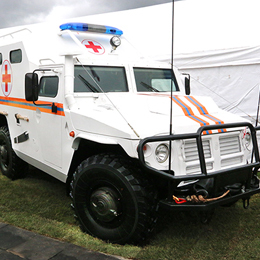 The vehicle features an enhanced firepower weapons suite comprising 30-mm automatic cannon, a 7.62-mm coaxial machinegun, a day/night sight and a smoke grenade discharger system. 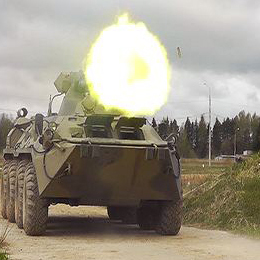 The BTR-80A is the first Russian vehicle in the class, whose heavy machinegun has been replaced with the formidable Shipunov 30-mm 2A72 automatic cannon with an ammo load of 300 rounds. The 2A72 was derived from the 2A42 cannon fitting the BMP-2 infantry fighting vehicle (IFV), BMD-2 and BMD-3 airborne infantry fighting vehicles (AIFV) and Ka-50, Ka-52 and Mi-28 attack helicopters. The advanced 2A42 cannon enables the APC both to fight lightly armoured vehicles and to render tanks inefficient by destroying their observation devices and other vulnerable units. An eight-round burst from the 2A72 punches through 120-mm tank armour. 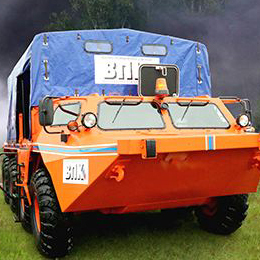 The design of the cutting-edge turret allows high-elevation fire (up to 70 deg.) on enemy warplanes and helicopters out to 4,000 m. The 7.62-mm PKT machinegun with the 2,000-round ammunition load is coaxial to the cannon. The weapons are mounted in the unmanned turret outside the fighting compartment, which has reduced the gas contamination of the vehicle’s interior when firing. 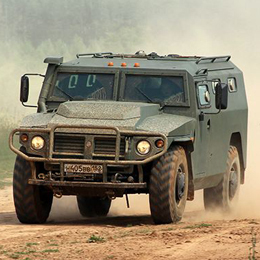 The APC is equipped with the TPN-3-42 Kristall night sight ensuring nighttime elimination of targets at a range of 900 m.
The BTR-80S APC, packing the 14.5-mm KPVT machinegun instead of the 2A72 cannon, was developed for the Interior force of the Ministry of Interior in 1994. 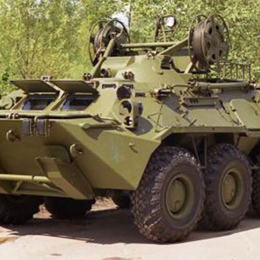 The baseline BTR-80 has spawned numerous dedicated armoured vehicles, e.g. several types of command vehicles, the 1V118 artillery fire control vehicle, a satellite communications station with a large antenna, etc.